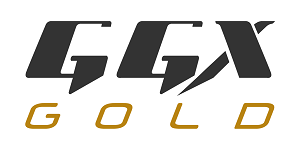 GGX GOLD CORP. (TSX-V: GGX) is a gold exploration company rejuvenating an historic British Columbia gold camp with exciting new discoveries. 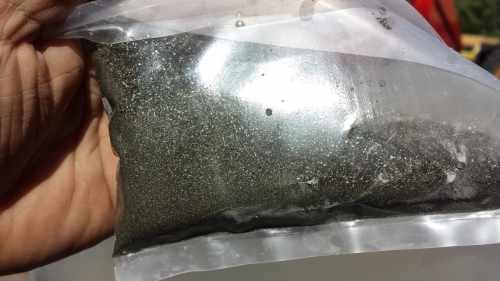 The company’s “Gold Drop” project currently encompasses an area of over 5,600 Hectares. 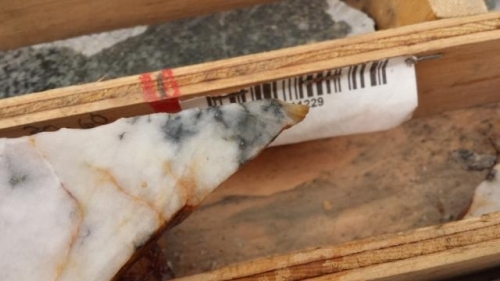 Drilling and trenching during the 2017 exploration season and this year’s 2018 season has led to the discovery of significant gold bearing structures which are prevalent throughout the property. 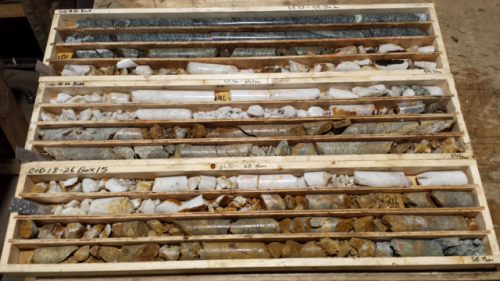 successful first season in 2017 and enjoys continued success in its ongoing 2018 exploration program. 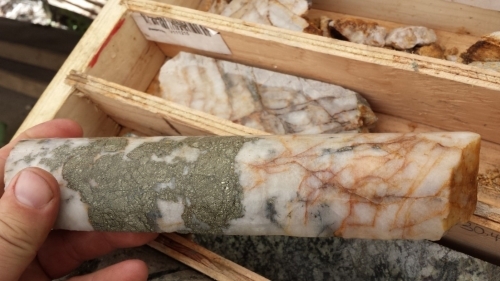 Of particular interest GGX has discovered two new significant gold bearing vein structures: The COD and Everest veins. 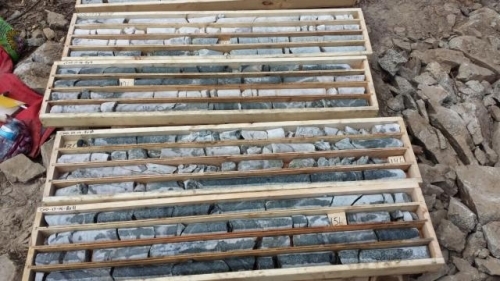 For example, a drill core sample from The COD Vein included 4.59g/t Gold and 38.64g/t Silver over 16.03 metres (including 10.96 grams per tonne gold over 5.97 metres). 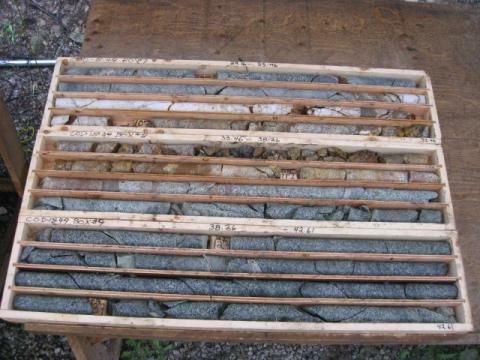 Since that discovery the company has consistently produced high grade drill intercepts along the vein structures. Since 1978, Mr. Brown has been president of Barry Developments Ltd., a wholly owned private company involved in the organization, reorganization, and management of private and public companies. Mr. Brown has over 35 years of experience as a director and/or officer of a number of public companies. Mr. Brown received a bachelor of commerce in finance from the University of British Columbia in 1976. Mr. Hughes is an entrepreneur in the event industry with over 18 years experience in the marketing industry planning, organizing, and running workshops and Seminars. In his career, Mr. Hughes has become a renowned keynote speaker and has overseen more than 1700 seminars. Mr. Hughes serves as an independent director. Mr. Field-Dyte has over 10 years of experience in the financial industry, having served from 1996 to 2001 as an investment adviser and later as a consultant to Raytec Development Corp. He currently sits on the board of directors for numerous TSX Venture Exchange-listed companies in the metals and mining industry. Mr. Kent brings to the team over 20 years of experience providing public relations counsel to various sectors including mining and manufacturing. With emphasis on corporate communications, his sales and marketing experiences are a welcomed asset. Mr. Kent currently sits on the board and acts in a corporate secretarial role for multiple publicly traded companies. Ms. Keith brings over 20 years of accounting and managerial experience in both the public and private sectors. Ms. Keith has previously acted as chief financial officer of public companies listed on the TSX Venture Exchange and held a senior accounting role for a company listed on the New York Stock Exchange. Areas of focus for Ms. Keith will include regulatory reporting, capital management, business process improvements, system optimization, internal controls and management reporting. Ms. Keith earned an arts and science bachelor’s degree from the University of Victoria and obtained the certified General Accountants (CGA) designation thereafter.